At least once a week, someone asks me to recommend a list of “getting started” tutorials and demos. Sometimes it’s for a group of users who just purchased our software, and other times it’s for experienced users looking to take their skills to the next level. In each case, the time it takes me to pull a list together can vary from a few minutes to… a while, to say the least. While my work affords me the benefit of knowing what resources are available, the curation part can still take time depending on how much I know about the users and their needs. It’s not helpful for users if I send 50+ tutorials and let them sort through them. One of the fun things about Top 10 lists is that they're rarely identical. Curation is personal and that's why I thought it would make a great weekly challenge. This week your challenge is to put together a Top 10 list of “getting started” tutorials for any area of Storyline development you like. Your Top 10 can target new or experienced users, and you can narrow your list any way you like. Just imagine you've been asked to help someone with a Top 10 list of tutorials. What would you share? Note: Your list doesn't have to include software-specific resources. If you’re curating a list on scenarios in Storyline, you may want to include an article on scenario models or giving feedback in scenarios. You can use any of Articulate’s tutorials and resources, as well as anything you've created or discovered on other sites. Jackie Van Nice kicked off the week with a photo collage story for freelancers. Jackie knows a lot about this topic and designed an engaging story replete with freelance tips and resources for freelancers. Check out Jackie’s blog post to learn even more about her photo collage interaction. Nick Russell shared an illustrated story based on a 4-step sales plan. Nick’s example features creative rollovers and animated transitions. Check out the source file Nick shared. Thx, Nick! Lance Treloar shared a corkboard-themed story that features click-and-reveal sticky notes. Lots of possibilities with this example. Patrick Gurczynski shared an out-of-this-world character tribute to Halo. Nicely done, Patrick. Ashley Chiasson put together a fun and vibrant infographic that features interactive charts. Matthew Guyan mocked up a beer-coaster collage celebrating some must-visit pubs in Australia. While this is a simple demo, it’s a great example of how course designers can prototype interaction ideas in PowerPoint. Melanie Dunmore shared a magical story in this animated tree collage. Allison Nederveld returned with a vivid comic-style story for managers who need to deal with employee mistakes. Great use of Storyline’s photographic characters, Allison. Be sure to read about Allison’s example to learn more about her project and design process. Ruth McElhone reveals known secrets in this pint-sized tribute to Guinness beer that features a friendly reward for those who complete the interaction. Well done, Ruth! Gina Orozco shared an office-themed collage that takes advantage of the illustrated character poses to tell a story about one person’s day at the office. Great job, Gina. Trina Rimmer offered tips for teachers seeking ways to annoy, aggravate, and alienate meddlesome parents. Parental Advisory: Snark and sarcasm rule the roost in this outrageously wry piece. Jeff Kortenbosch shared some extended family photos in this well-designed photo collage story. Be sure to check out the funny nicknames Jeff assigned. Jeff, we’ll talk later. Sylvia Davis put together an engaging photo collage that features personal, professional, and travel-related insights. Great job, Sylvia! Montse Anderson shared an interactive character collage featuring Storyline's photographic characters. 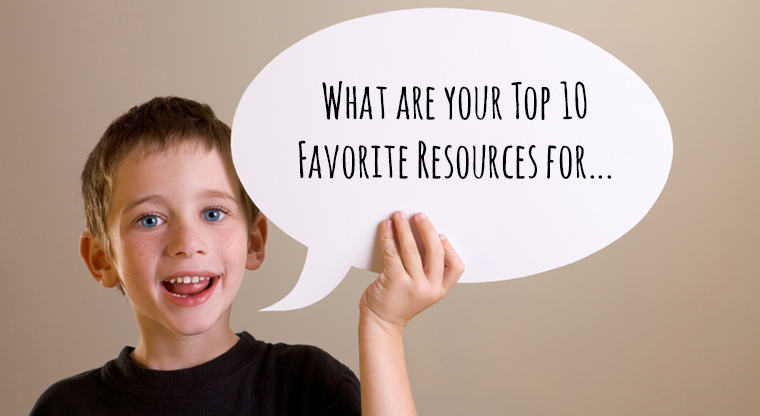 Wishing you a Top 10 week, E-Learning Heroes! Jackie, your submission to the challenge was remarkable! Very beautiful choice of images, fonts, and colors. And you share lots of great insight into the benefits of using Storyline. Bravo! Nice work Jackie, esp. the Star Trek reference. Resistance truly is futile. Wow, Alex. Really nice. Love the tantalizing little page curl up front and how nicely you embedded everything. Seriously - if I had to do all that with a monocle and top hat on like you do, it would just never happen. Great design Alex and Jackie. Alex, I love how you minimize the design and, like Jackie said, beautiful detail with the page curl! Great job, Alex and Jackie! Alex...number 10 is so evil...now I'm going to want to revisit a LOT. Jackie--I love the consistency with which you build your courses. Blooming nora, how cool! Jackie, love the floral design and audio treats! Alex, love what you did with the player, very very cool! Jackie - LOVED everything about your story. The flowers are a welcome sign of spring (that appears to finally be here after a very rough winter) and the simplicity of the messages is downright elegant. Thank you for sharing your creative output with us. Alex - I think I need to bookmark your story. What a fantastic resource of resources, all in one place! Here's my entry - http://www.cursimcourses.com/challenge1/story.html I've only been using storyline for about 4 weeks, so these are top tips for beginners. And let me just say I have plausible deniability about Dan's claims regarding my involvement. Don't believe everything you read. OMW Dan, that is hilarious! Totally love the feedback after each character gives their answer. One thing I've learned from this challenge...do not drink coffee while viewing Dan's game and listening to voices that may or may not have been Jackie's. I nearly did a spit take all over my monitor. Kimberly I agree! I never saw that coming. Thankfully my laughing didn't wake up my family:-) Bonus: Learning that was Jackie's voice on the tracks. What a range she and Dan have. I've been toying with an idea of an "elearning narration" swap where designers exchange voice services. The idea is that your learners may be tired of hearing the same elearning narrators. Why not exchange services with someone doing similar work in a different organization? Just one of those disposable ideas. David--I actually think that's a fantastic idea! Especially to those who are a team of one and cannot afford voice talent. There are likely so many in our business that would be more than willing to help out. I think even a more extended type of resource swap that doesn't break user license agreements of course would be great. A site of curated (tagged) things, such as fonts, stock photos, design ideas, voiceover talent, would be a great resource to designers. Jackie does have an incredible range of voices! And Dan's were just hilarious. David/Kimberly - I would be interested in this idea too - I would even be interested in developing a site to facilitate it...hmm.. Wheels are turning. If both of you want to pm me with some ideas for resources we could swap or sub out to other contractors, that would be a great start! Ashley: Nice layout! I liked that I didn't have to keep hitting "close" buttons to go from screen to screen. Allison: Beautiful interface. Just one thought: I kept looking for a link to click (to get to the tutorial or whatever) after I chose an item. It would be great to have that built in at that point (it could open a new browser window so you don't leave the piece), as well as the link to your blog in the lower right. And nice blog post! Kimberly: Your spit-take post nearly made me do one. I'm still laughing. Whew. Dan: What can I say? This is thoroughly you. You may have a lock on that much-sought-after "cornball" style we all enjoy. Lesson learned: Don't casually breeze in front of a microphone and read a script Dan gives you, blindly taking his direction, without having seen the characters you're doing the voices for. Ai-yi-yi. David: The narration swap is an interesting idea. It's tough to find good VO talent and sound quality that you'd want to swap - though hopefully I'm completely wrong about that. It might be worth a shot! Jackie--to your narration quality comment, you could always have them provide a VO sample much like the pay for sites do? Just a thought. And yes, good quality VO is definitely hard to capture. I used to have access to a professional sound booth before I moved to Dallas. It was GREAT for audio recording. Now I at least have a video studio, but no dedicated isolation space for recording. My basic set-up is doable though.